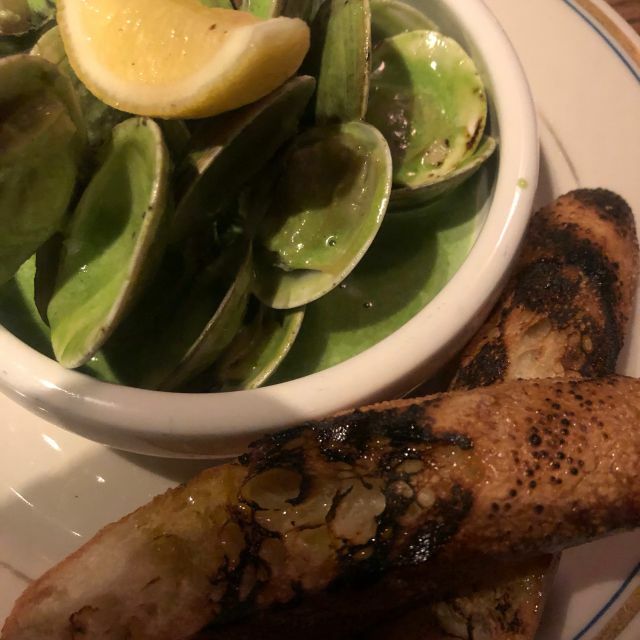 Located in the Union Market neighborhood, the second outpost of Joe Carroll’s popular NYC restaurant aims to bring some of the laid back vibes of Brooklyn to Washington, DC. 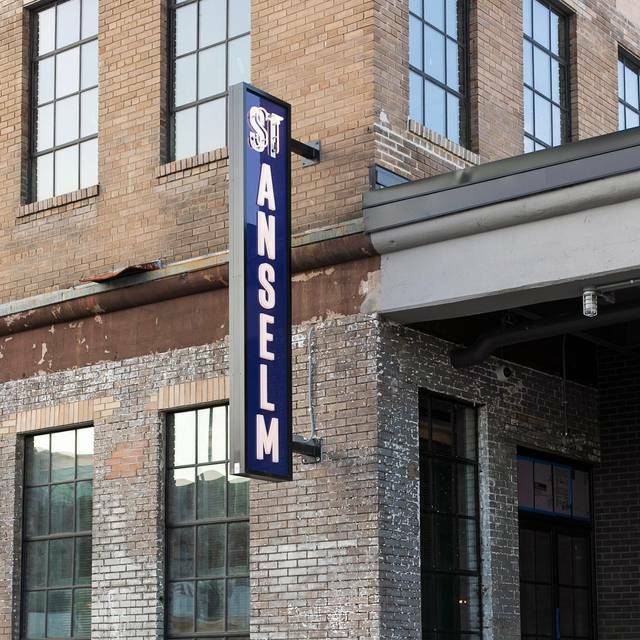 St. Anselm is an American tavern devoted to the pleasures of grilled meats and great ingredients simply cooked. While steak is a specialty, the creativity of Chef Marjorie Meek-Bradley doesn’t stop there. 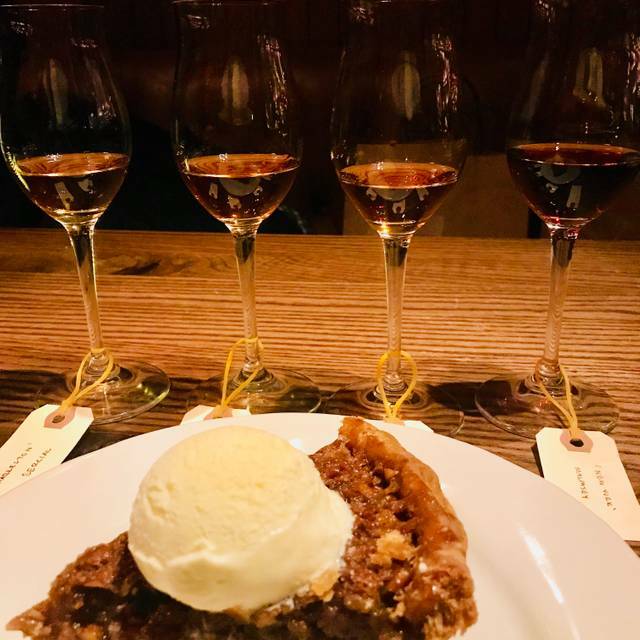 Delicious food, eclectic wines (some on tap), and classic cocktails set the tone for a great experience. 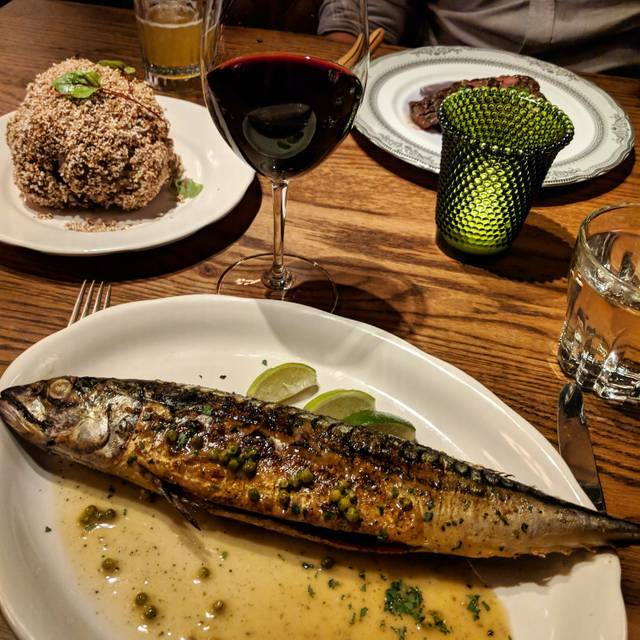 Paired with friendly service in an unpretentious setting adorned with quirky décor, dining at St Anselm is the total package. Food was fantastic and will go back. The music was too loud and the lighting was too dim. Enjoyed it a lot. Food and service were excellent. A bit pricey and noisy but otherwise thoroughly enjoyable. St. Anselm has quickly become my favorite restaurant in DC. The food is incredible and everyone I’ve met there is knowledgeable and kind. Consider me a happy regular! One of our favorite new places in DC. Great food, cocktails, and service. I had great dining experience with Ed. We were in a bit of a hurry but Ed paced the meal perfectly and still left time to enjoy dessert. However we were so stuffed we couldn’t order. Will be back to enjoy dessert and try different selections from the menu. Excellent brunch, service and atmosphere. Love this place! Loved this steak house. Quality steaks at an affordable price. Sets the new standard for steaks. Amazing restaurant! Perfect choice for my husband’s birthday dinner. Really wanted to love this restaurant because I'm from Philly and a regular of Stephen Starr's establishments in NJ, NY, PA, and DC. Most of the food we got was practically tasteless - had no seasoning, or salt, or anything on it. 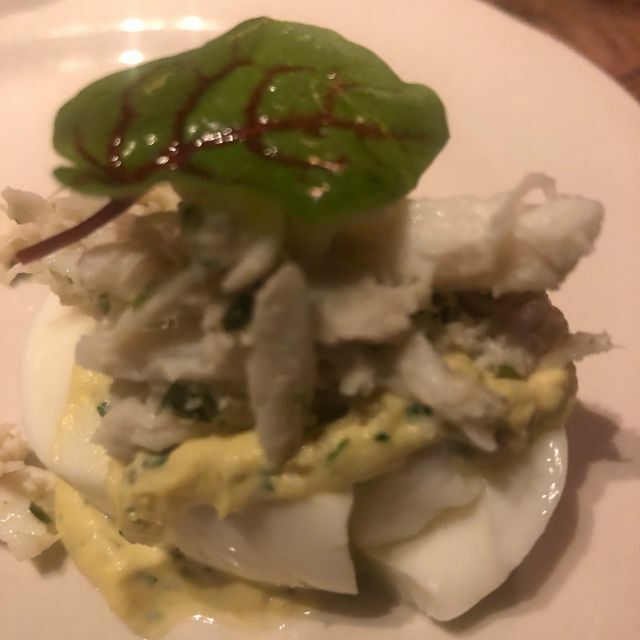 The king lump crab dip was probably the best out of everything. Our waitress and service in general was excellent though. We got the hanger steak, tuna steak, and whole mackerel. For the sides, we got creamy spinach, roasted carrots (which needed more cooking time), and the beef fat little potatoes. Pretty disappointing but may give it one more shot. Superb experience all the way around. We were amazed by the knowledge of the staff, and the execution of our food. Everything was spectacular. St. Anselm serves an excellent dinner and had an amazing wine list. Unfortunately, their brunch leaves a lot to be desired. The grits were terrible and the lamb sirloin was meh. Next time i'll pop over to union market for a quick bite instead of paying $60 for mediocrity. 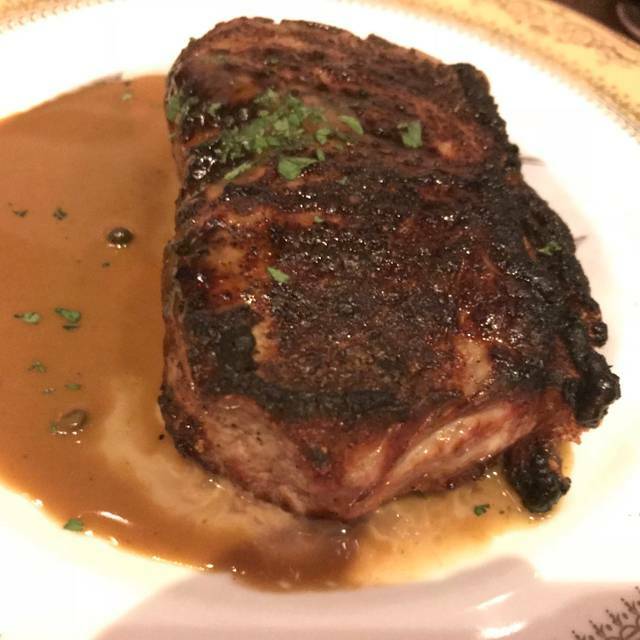 The ribeye was of VERY high quality, cooked PERFECTLY! 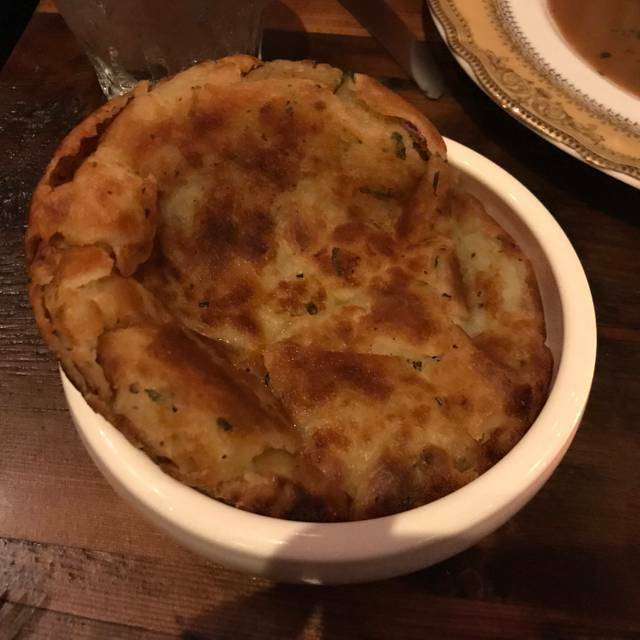 The potato pancake needs work. Service was great! Great atmosphere and excellent food! Definitely returning again soon. Everything was delicious, waiter was very helpful and engaging. The restaurant was nice and free parking in DC is always a welcome surprise. 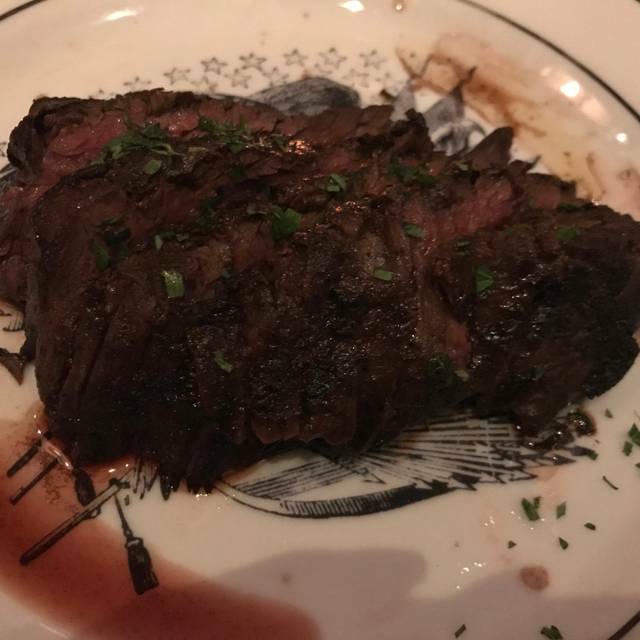 While the restaurant ambiance made me feel like the environment would be chill and comfortable, the menu and prices were more white table cloth style...$50 for prime rib with sides a la carte. Once we finished eating we were immediately presented with the bill. While my friends and I were sitting there enjoying catching up the hostess kept peaking around the corner, I assume gauging if we were getting closer to leaving. This was unexpected after spending more than $200 on mediocre food and beers. This is a spot I do not need to revisit...and the sentiment was the same for my entire party. Has become my favorite restaurant, especially when in the mood for a top notch steak. Staff and ambience put it over the top. Great meal amazing service just all around superb. Excellent food and drinks. Will definitely need to come back! price was on point but definitely on the upper end. Amazing experience. Food preparation was clean and focused. Wine list was detailed and had a wide range of bottles in all styles and price points. Sommelier was personable and very knowledgeable. Service was spot on and we never waited for anything. Everyone we encountered was friendly and engaging. Overall one of the best restaurants we have ever been to! Cheers to the whole team! The restaurant was very noisy. The food was very salty. The quality of food and drinks seemed good, but for the price the taste was just not there. My husband and I tried various things on the menu and were ultimately disappointed when our check was over $250 and we weren’t over the moon. One of the best places to eat in DC! The biscuits are the best and the meats are cooked to perfection. They allowed us to request a table outside. They gave us a beeper and we were able to get some drinks at Union Market before they called us. We were there celebrating an anniversary and they gave us free champagne. The staff was super lovely and very helpful. It was a lovely experience overall. Steaks could be a hit or miss. Salads were great. Our order took forever to arrive and at no time anyone mentioned anything about the delay. Our waitress was cold and pushy. Wildly impressive restaurant. The place operated like it’s been around for years. So tight. The food was terrific and the service was on point. Two managers touched every table at least once. If there’s a fault, it’s with the seats. Everything about the place says enjoy, the hard wood seats say hurry up and get out. Nevertheless, I’d go back in a heartbeat. Kudos Stephen & Marjorie! Cool decor. The biscuits and pimento cheese were amazing! Steak fries were so good. We loved everything. The tri-tip beef sandwich delicious. Try the monkey bread too! The restaurant is extremely loud. The service was great, until we placed our order and didn't order the most expensive items on the menu. If you order the King Crab Legs, it's one leg. And both of our steaks came out poorly cooked, as though the grill was too hot and not consistently cooking the meat throughout the cut. We loved it! Went for a ladies night out and plan on returning with our spouses! Seafood was delicious. We will return for the steaks with the guys! Can’t say enough good things about this place . Excellent quality, large servings, simple but delicious preparation. Very noisy, hard to have a conversation. Service adequate. Pacing of meal very good and nobody rushed us out. Fabulous server, Jason in the back room. Killer biscuits and grilled oysters. 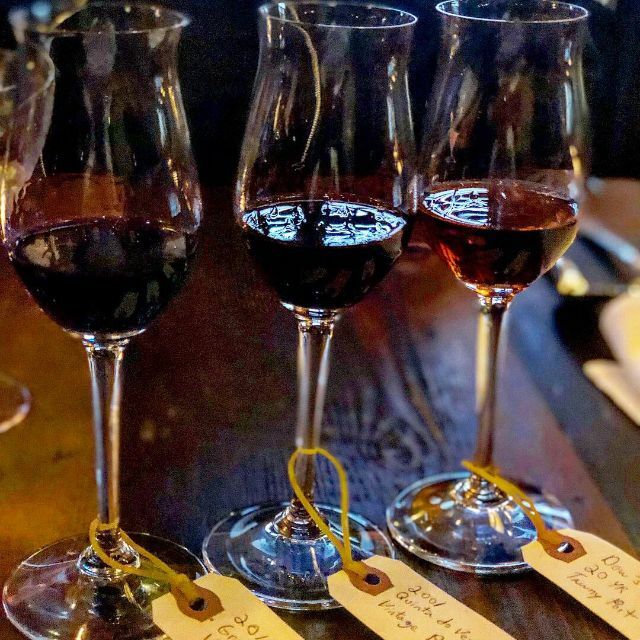 Diverse wine list at many price points. I love this place. I've tried quite a few things and it never disappoints. Wish there were a few more "creamy" or vanilla based deserts on the menu or something less decadent than the heavy cakes. But i will always go back here when the opportunity hits.